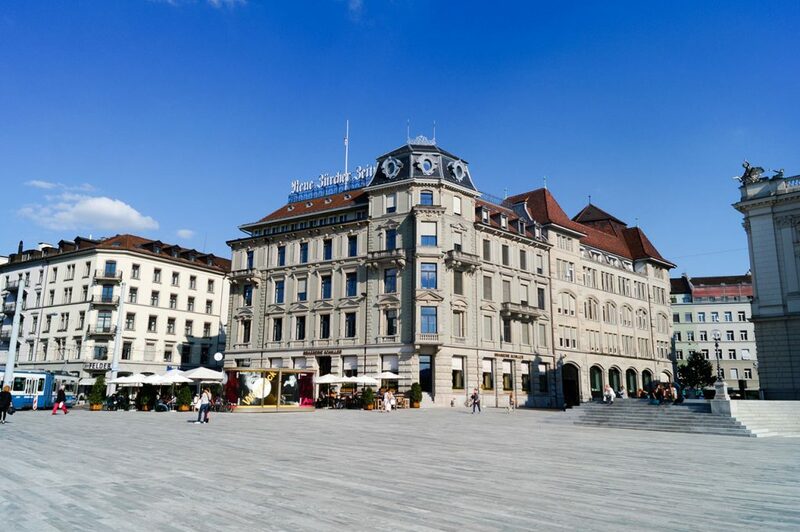 I mentioned previously that I’d had the joy of experiencing a rather enjoyable day out which ultimately culminated in a trip into Zürich. Having spent a fair chunk of my day exploring Rapperswil-Jona, I hopped onto the ferry and headed to Zurich to spend the rest of my trip exploring the city and having a good ol’ mooch around.The ferry ride wasn’t too long, and given the crystal clear water, the cool breeze across the lake and the sun, it was rather pleasant. A few stops along the way, and plenty of time spent taking photos of random places which I wouldn’t have the foggiest should I need to name them, I eventually found the ferry sailing into Zurich. And it was everything I thought it would be. 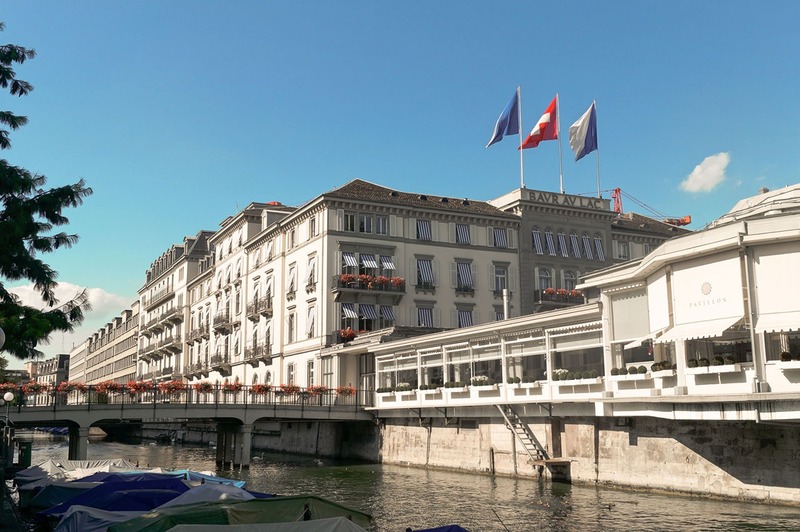 The ferry passes a lot of older buildings that look like they’re pretty important, as well as a bunch of ‘stereotypical’ Swiss architecture. The whole place is impressive. So off I went on my jollies.I didn’t really have any goal in mind, I just went for an extended walk with my camera and backpack, taking in as much as I could along the way. It’s quite an easy city to find your way around, though I started by following the water. It makes for a peaceful walk.There are a few things you notice in Zurich, one of them being that there are a ton of flags flying. And, just like in Rapperswil, there are tons of flowers and trees around. Not knowing where I was or where I was headed to made things interesting. I ended up taking all sorts of pictures, and after a couple of hours walking around I decided it was time to go and find something yummy to devour.So I went in search of currywurst, because I love currywurst.After filling up the tank and grabbing a coffee I continued. I noticed an odd bit of green sticking up in the air and decided I needed to go and see it. That happened to be the Fraumünster church, and it’s rather photogenic. 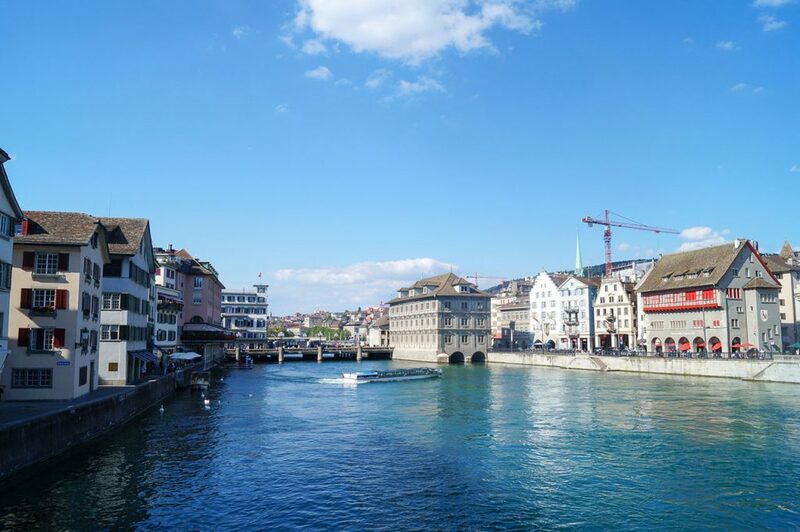 At this point I’m only too aware of all the enticing attractions and other bits to get your teeth stuck into in Zürich, and I missed out a hell of a lot due to my gormless wandering around. Though I did find what I swear is the most open and empty space I’ve ever seen in any city I’ve been to. Close to what I assume to be the main transport hub to boot.And it was also ridiculously clean, and insanely quiet. And it had a Beerhaus. Bonus! So what is there to take from this?Well, Switzerland in general has a ton of things to see and do. It’s picturesque and even the smaller places can fill up your time. On this trip, I only had the week to do everything I wanted to do, as well as spend time with good friends. 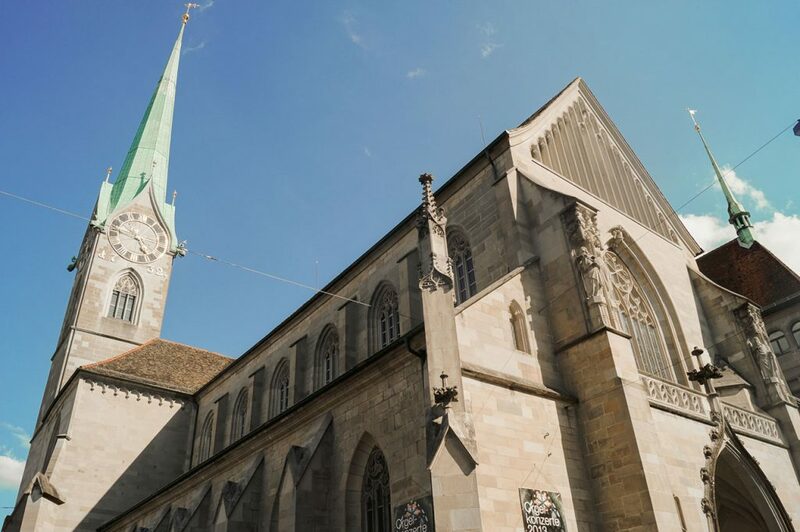 I had an absolute blast exploring Rapperswil and eventually Zürich, and I know all too well that I need to go back.I’d suggest planning properly though, overrunning my schedule in one place meant I couldn’t experience as much of the city as I perhaps would’ve liked, but that doesn’t detract from the great time I did have. No matter how short.If anyone has any suggestions on the ‘must see’ places I should include in my next itinerary, please do let it slip in the comments.